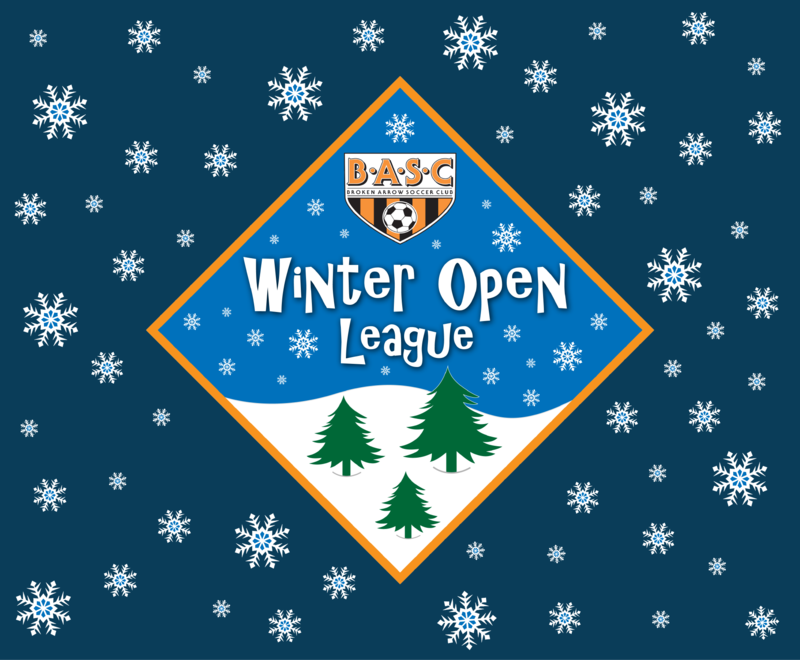 BASC welcomes recreational and competitive teams U9 thru U19 to play in the Winter Open League! This league kicks off December 2nd thru February 25th. This is a fun and affordable WINTER LEAGUE with a 7v7 format which offers lots of touches and transitions for technical and agility improvement during the winter season down times! Individual Players: Have a child that wants to play, but don't have a team? Email us to be put on the waiting list. (players will be put on teams on a first come, first served basis) If there are enough kids from the same age group on the waiting list, we will create a new team and find a coach. Team Needing Players: If you are a coach that needs extra players, please email us to let us know. BASC will connect you with kids on the waiting list. Game Time: Two - 25 minutes halves. 5 minute half time. League Location: Games to play at ISSC and overflow games at another BA location - TBA. Game Day: Games will be played every Saturday, with the exception of December 23rd, unless otherwise requested. Substitution: Either team - throw in only. Weather: Games will be cancelled and rescheduled if the outside temperature is below 32 degrees. Rescheduled Games: Weather related only - requests should be received 4 days before game. Email Requests Here. Red Card: Player will be sent off for remainder of the game. Team cannot replace player and will play short for remaining game time. Goal kicks can be taken from anywhere in the penalty box. Roster and Liability Waiver must be turned into the BASC office no later than November 30th. First Game will be played December 2, 2017 and all games will be played no later than February 25, 2018.